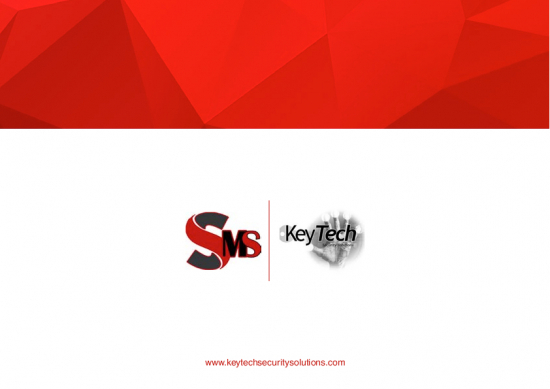 (Dubai, UAE) KeyTech Security Solutions has announced the launch of Security Management Solution (SMS), a PC based software application advancing security centric fundamentals - built on logic. Security specialists, KeyTech, aim to replace outdated methods used for security operations with their new, 100% paper free, purpose-built software providing multiple security applications under one roof. SMS’s “Hub of Command” increases accuracy and efficiency by securing visitor and building operations information in a seamless and purposeful way. SMS by KeyTech provides operators and Management an easy to use user interface, requiring basic PC skills for instant access to critical data. The SMS system addresses many underperforming operational security fundamentals routinely overlooked by organisations. One of the key modules in the SMS software application is Visitor Register, enabling accurate registration of visitor data by using intelligent and refined screening procedures of visitors, tenant, employee and contractors for current and future visits. Streamlining the visitor registration process while protecting properties from unauthorised visitors is at the core of SMS. Using simplified information gathering tools, including data capture of Emirates ID and other forms of ID, SMS enhances security standards across Hospitality, residential and commercial towers, facility management, schools and universities, hospitals, embassies, consulates and military installations. Additional modules available in SMS include Car Park Control, Person of Interest, Lost & Found, Move-In / Move-Out, Time and Attendance, Key Register, Secure Message Broadcast and more. The system can be configured to any organisations requirements. Other features include 128-bit data encryption, touch-screen compatibility, continuous local and cloud based data back-up and multi-language support. The system also features biometric verification, online and offline functionality, document expiry reminders, and more. "Our main objective was to optimize security levels. We aim to fill a gap in the security industry by combining modern technology with crucial features - all integrated in one interface. The system adds purpose to routine security procedures." said Firas Sinno, Owner and CEO of KeyTech Security. KeyTech has vast experience in providing security solutions in UK and UAE markets including manned guarding services and security hardware. SMS will augment the company's comprehensive security portfolio. It is the world's first, and only, completely paper-free security management system. Established in Dubai in 2011, KeyTech Security Solutions specialises in the development of software for the Security industry. The system, launched in May 2016, integrates a multitude of intuitive security features.